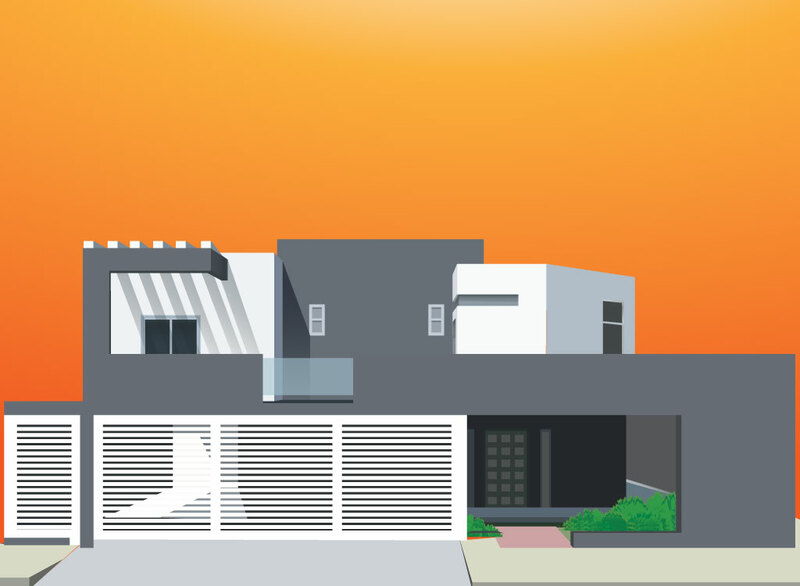 Vector illustration of a very geometric looking house facade. The square features are accented by the gray and white color scheme and nice fading shadows help give it some depth. This free villa download could work well as part of a real estate industry blog image or banner design. Tags: Architecture, Building, Home, Modern House, Property, Real Estate, Windows.